If you’re in the market for a new or used SUV, you’ve come to the right place. The staff at Land Rover Tampa is committed to helping you find the right vehicle for your needs. They’re also dedicated to helping you maintain it long after you drive it home for the first time. So where do we begin? Take a look at the latest Land Rover models to hit our showroom, including the Range Rover Sport and Range Rover Evoque. Those looking to keep some of that hard-earned money in their pockets, meanwhile might like to consider our lineup used luxury SUVs as well. Of course, whether you choose new or used, Land Rover Tampa staffs a team of expert auto finance specialists who can help you find the right loan or lease for your needs. From start to finish, we’re by your side to make the buying process as easy as possible. We continue to support you with an onsite service department, which operates using only certified Land Rover parts – a combination that’s sure to result in many worry-free miles in your vehicle’s future. Whatever your automotive needs may be, Land Rover Tampa is here to serve you. Located at 11301 N Florida Ave in Tampa, FL, we’re a quick drive away from the surrounding Sarasota, Clearwater, Wesley Chapel, and Brandon, FL areas. Come see what we can do for you today. Welcome to Land Rover Tampa, a family owned and operated business since 1971. Our professional and well-trained staff is ready to assist you with your new or pre-owned automotive needs, so anytime you feel we’re not living up to our end of the bargain, please contact us immediately. Driven By a Higher Standard! We’re proud to announce that Land Rover Tampa has won the prestigious Land Rover Pinnacle Club Excellence Award for 2017/18 for outstanding performance in customer experience, business excellence and sales. Only sixteen Land Rover Retailers in the US are selected each year to earn the distinction. Our thanks goes to our customers for their support and loyalty to us and to the Land Rover brand. We will continue to take the ideals of excellence and turn them into a way of doing business – for every customer, every day. We are driven to another level. At Land Rover Tampa, our commitment to uphold the Land Rover standard of excellence allows our customers access to our unsurpassed industry knowledge and expertise. 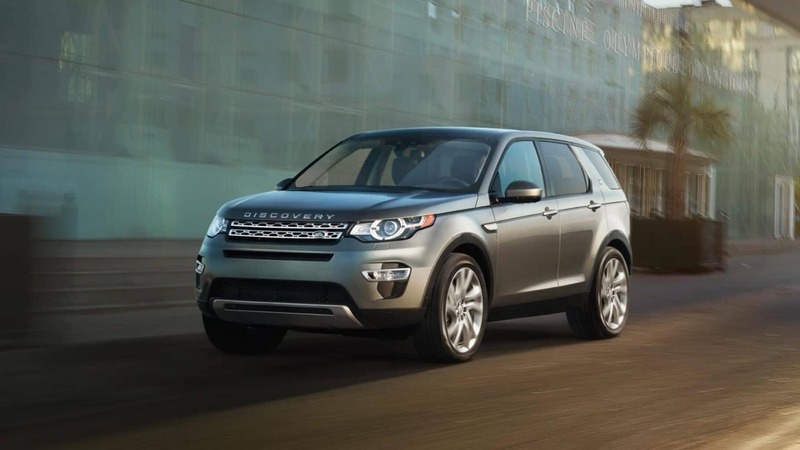 We’re proud to offer Tampa and the surrounding area full inventories of new Land Rover vehicles as well as high quality, approved Certified Pre-Owned vehicles. Our finance experts are available to assist, by helping you receive a great Land Rover loan or lease and our expert Service and Parts Guides are standing by to help you with any car repair or parts replacements you may require. Visit us today at 11301 N Florida Ave in Tampa, FL and experience our passion for Land Rover first hand. We look forward to serving you!